I am planning a 7 nights trip to Meghalaya in Mar-16 with my husband. Please give us some suggestions to plan our itinerary. We will fly in to Guwahati. 7 days is good for the basic Meghalaya circuit. What are you looking forward to in your trip? 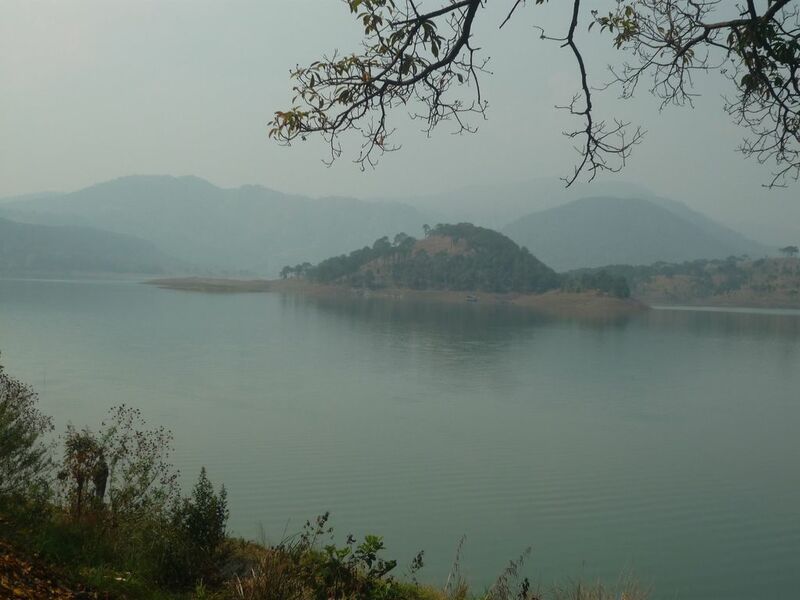 So far, we are only aware of the popular destinations like Shillong & Cherrapunjee. But given that we have 7 days we will like to explore other parts of the state as well. So, your suggestions regarding which all places should we cover will really help. Also, suggestions for hotel options in these places as well. Now I am super confused which all to cover. Hi @Surbhi, Can you please provide the itenary you followed? Also can you please share the contact details of hotels and cabs? May I add my few pennies? I did visit Meghalaya 3 years back, and the memories are still fresh. Day 1:After breakfast, we started from Guwahati for Shillong. On the way stopped at Umiam Lake and Nehru Park (2 hours from Guwahati). There are a couple of resorts where you can have lunch if you wish. From Umiam, Shillong is an hour's drive. Reached there by late afternoon. Relaxed and then spent some time in Police Bazar (local market). Day 2: Visited Elephant Falls, Shillong Peak in morning. Then Ward's Lake and Zoo in evening. Day 3: Started early morning for Cherrapunjee via Mawlynnong. 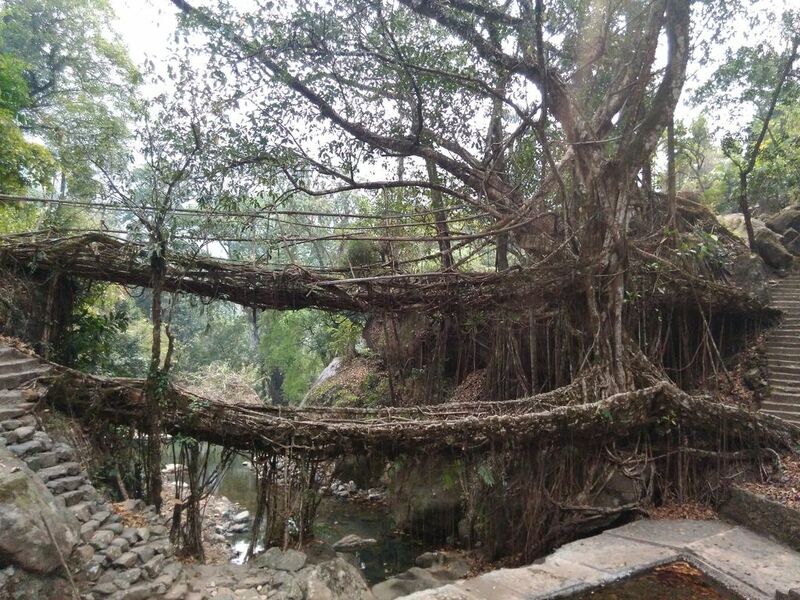 Did the living root bridge trek there. Don't forget to climb up and visit the village as well. It's beautiful!! You can have lunch there post the trek. Also, we were not aware so missed but you should go to Dawki from there (Bangaldesh border). Then head towards Cherrapunjee. You should reach by evening. Day 4:Left early morning for double decker living root bridge in Nongriat. Reached there by 9:30am and got free by 3:30pm. It's a beautiful trek though very strenous. Make sure to carry water & some eatables with you. Came back to Cherrapunjee in evening. 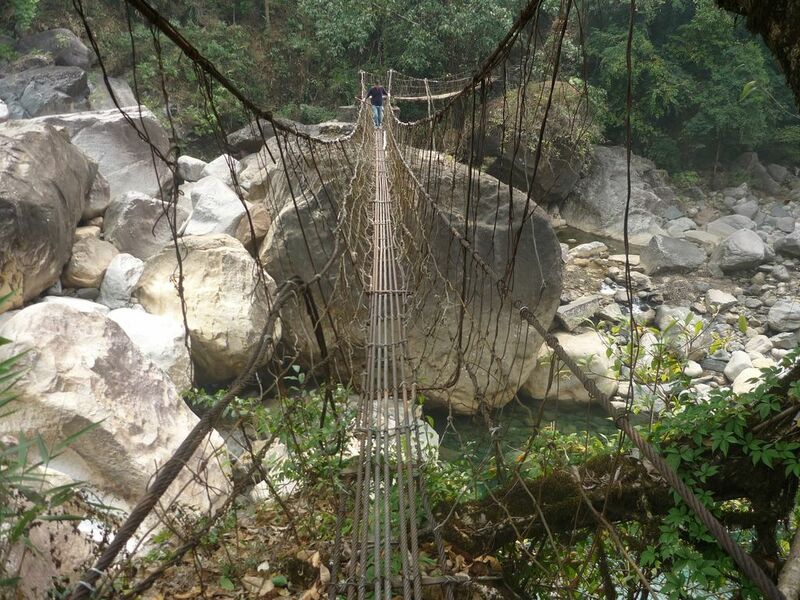 Day 5: Did local sight seeing in Cherrapunjee (waterfalls, caves, etc). In addition to the famous Mawsmai Cave, do visit Jingmaham cave. Ask locals about it in case your driver is not aware. Day 6: Headed back to Shillong. On the way stopped at a couple of more waterfalls. Reached Shillong in evening. Relaxed. Day 7: Visited Mawphlang sacred grove (25 km) in morning. Again relaxed in evening. Day 8: Left for Guwahati to catch our flight. Hotels: Cherrapunjee - Coniferous Resort. There are a lot of options. Depending on your budget you can decide. Cab:A friend helped arrange one from Guwahati. You can easily hire one from the Guwahati airport or come to Shillong by bus and then hire a local cab. Tip: Spend more time in Cherrapunjee than Shillong. Thanks for a detailed trip. Weather - it was cold in Shillong & pleasant in Cherrapunjee when I visited. Double decker living root bridge - I don't think guides are available. At least I didn't see one. With a kid along the trek can be quite strenuous given the distance & difficult terrain. Yes I'll be travelling from Kolkata via Train. I have exactly 9 days in hand i.e. I'll catch train Friday evening and I have to catch train next Saturday so that I can reach Kolkata by Sunday and join office on Monday.